1600 - Bubble Shot Glass. Multi Color Bottom. 1600 Bubble Shot Glass. Multi Color Bottom. ..... $ 18.00/dozen. CUSTOM IMPRINT AVAILABLE. 1599 - Metallic Cognac Shot Glass. Palm Design. 1599 Metallic Shot Glass. Palm Design. Assorted Colors. ..... $ 24.00/dozen. CUSTOM IMPRINT AVAILABLE. 1598 - Ice Effect Tulip Shooter. Assorted Colors. 1598 Ice Effect Tulip Shooter. Palm Design. Assorted Colors. ..... $ 21.00/dozen. CUSTOM IMPRINT AVAILABLE. 1596 Turtle Figurine Shot Glass. Asst. Color Bottom. ..... $ 21.00/dozen. CUSTOM IMPRINT AVAILABLE. 1595 Dolphin Figurine Shot Glass. Asst. Color Bottom. ..... $ 21.00/dozen. CUSTOM IMPRINT AVAILABLE. 1594 - Foil Hibiscus Tulip Shooter, Color Inside. 1594 Foil Hibiscus Tulip Shooter, Color Inside..... $ 21.00/dozen. CUSTOM IMPRINT AVAILABLE. 1570 Plastic Double Wall Freezable Shot - Assorted Colors & Designs ..... $18.00/Dozen. CUSTOM IMPRINT AVAILABLE. 1558 Frosted Funny Shot Glass - Lousy Shot - Assorted Colors ..... $18.00/Dozen. CUSTOM IMPRINT AVAILABLE. 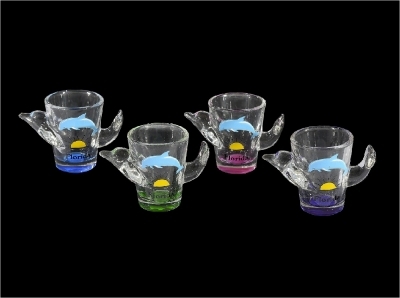 1557 Rainbow Shot Glass - #1 Bro - 6 Assorted Colors ..... $18.00/Dozen. CUSTOM IMPRINT AVAILABLE. 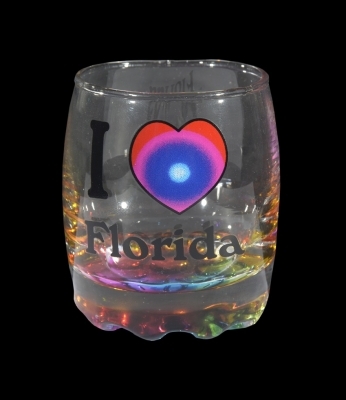 1556 Rainbow Shot Glass - #1 Sis - 6 Assorted Colors ..... $18.00/Dozen. CUSTOM IMPRINT AVAILABLE. 1555 Rainbow Shot Glass - #1 Grandpa - 6 Assorted Colors ..... $18.00/Dozen. CUSTOM IMPRINT AVAILABLE. 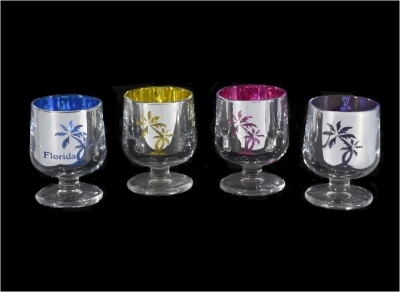 1554 Rainbow Shot Glass - #1 Grandma - 6 Assorted Colors ..... $18.00/Dozen. CUSTOM IMPRINT AVAILABLE.